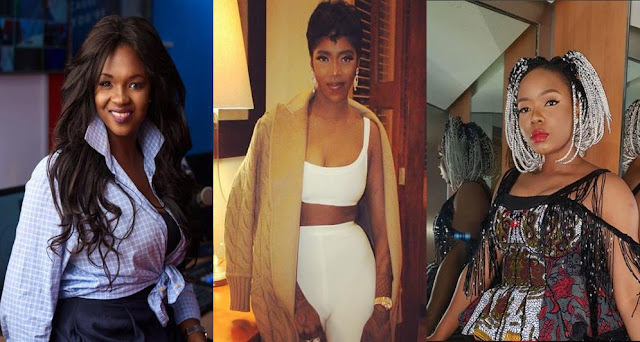 We have reported that Yemi Alade and Tiwa Savage hasn't been in good terms lately due to the controversial statement made by a radio presenter, Misi Molu, during the week. It was stated that Misi chose Yemi Alade over Tiwa Savage,saying that Yemi has a better vocal range compared to Tiwa during the radio show. Also,Yemi clearly stated that there is nothing like "Number one " in the music industry. Well, few days later, Tiwa Savage seemed to be provoked due to the statement made by Misi,so she made series of posts which seemed to be directed to Misi Molu,she haf earlier begged her for money via social media, meanwhile,Tiwa Savage didn't identify the person she was talking about, but she insinuated that "they will beg you for money today and talk trash tommorow ". However, in an interview with Sunday Scoop, Yemi Alade refused to comment on her comparism with Tiwa Savage but she maintained her stance that there was no number one artiste in the country.